With thorough understanding of this business industry, we are engrossed in providing Sea Cargo LCL FCL Services to our clients. Due to our personal knowledge, we are able to meet the detailed needs of the clients within the given period of time. We have adroit employees, who offer these services in agreement with the defined guidelines. 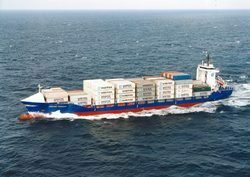 We are also engaged in providing Sea Shipping Services to our clients who need to ship their bulk consignments to different parts of the world. Our sea shipping services are mainly availed by companies which need to transport heavy goods and products to different parts of the world. Online Private Limited moves more than 8000 TEU's of cargo for over 50 corporate clients worldwide. Our C&F services spell ease, flexibility and professionalism. A robust process and service model ensure continuous information exchange between our international and local associates. International sea imports cargo agents in Chennai. We offer services for International Sea Cargo Services. 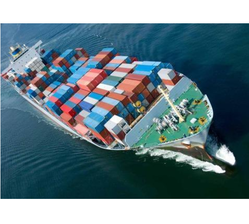 These services are executed with the assistance of Shipping agents and sound networking. Our services are very economical and offered at clients' end in accordance to their various needs & requirements. Our organization specializes in providing client-centric Sea Exports Services. In these services, we deal in LCL, FCL and door to door services. These services are provided without any hassles at market leading prices for numerous textiles items, and reefer such as iron castings, dry fruits, fruit juice and solar module. We provide advice, technical assistance and supervision in order to guarantee safe delivery of the cargo at the entire satisfaction of our clients. With limited restrictions in the size and weight of the goods, we provide a full array of ocean freight forwarding services right from door to door pick up, advance tracking technology and managing shipping documents. The farm consists of experienced Master Mariners who are competent and experienced to carry out job as Post Captain for Vessels' loading/unloading Iron Ore, steel, coal, grain and other dry cargos. New Era Logistics offers a complete maritime freight package, which includes value additions like factory stuffing's and regular multi-vendor consolidation in its warehouses. We have a broad network of partners across the globe, ensuring that we can transport anything, anywhere with a guaranteed capacity. New Era Logistics offers its clients the facilities of consolidation. We handle General Cargo, DG Cargo, Agro Products, Break Bulk & Project Charter and Over Dimensional Cargoes. Send in your enquiries and we will provide you a tailor made solution. Sea cargo today is one of the key mode of transportation. In order to offer the best service possible, we have an experienced team of professionals who are specialised in handling different types of cargoes. Triangle Exim provides a variety of Sea Cargo Import Service worldwide. We are willing to match your requirement of any size, regardless of whether the containers are at full capacity or not, special goods, or if the cargo is oversized. We greatly value the importance of communication and will keep you informed every step of the way. As a cargo consolidator, we handle consignment of any size, whether FCL or LCL, odd dimension, oversized, overweight, you are assured of expert handling from professionals with many years of hands-on experience. Whatever the size of the consignment from Customers'' s premises to port or port to receivers door all get our fullest attention because we do not take chances with the cargo. We also provide Sea Cargo services which operate in the entire important ports world wide. We provide you services which are consistent and provide you the real value of money. Our services are not only flexible but reliable also. Quality is the backbone of our organization and we provide the best quality service and within specified time period. We are engaged in offering export air & sea cargo service.